National Apostille, Inc. is the leader in document apostille, certification, and Embassy or Consulate legalization. We can process documents issued from all 50 States and the U.S. Federal Government. Please contact us with any questions you may have concerning obtaining an Apostille, certification, and Embassy or Consulate legalization services. 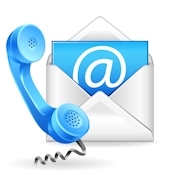 We generally answer email messages within an hour during regular business hours Monday through Saturday from 8am to 7pm.